To fill the T3S unscrew the bottom atomizer head. Hold the tank upside down and fill with 2.4 ml- 3 ml of eLiquid. 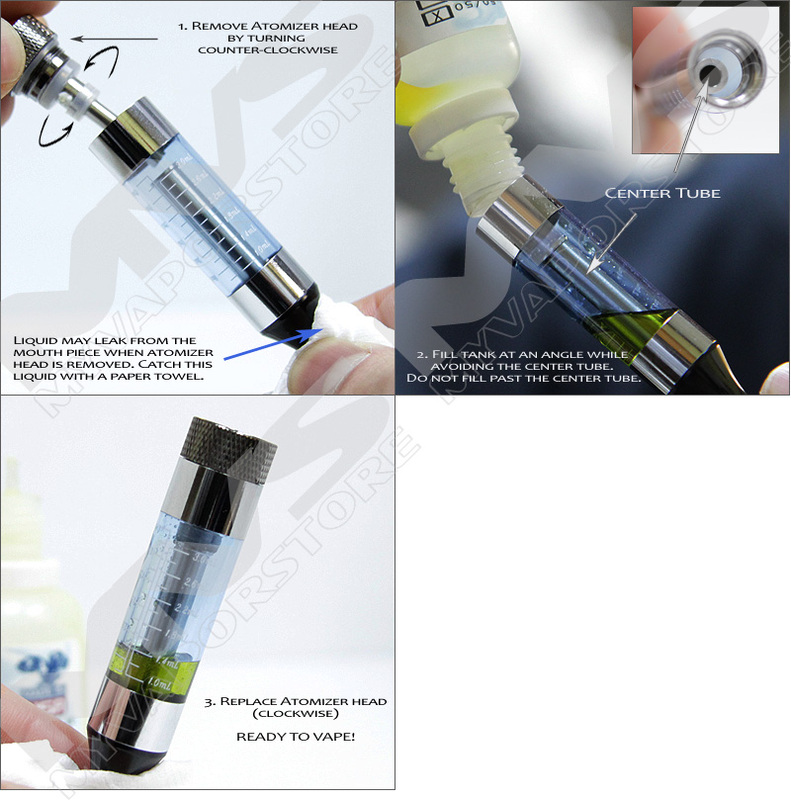 With the tank mouthpiece-end down, screw the atomizer head back on (see image#6). These are my favorite, very uncomplicated, but hard to find anymore. only like a buck more than a throw away tank but has replaceable coil.